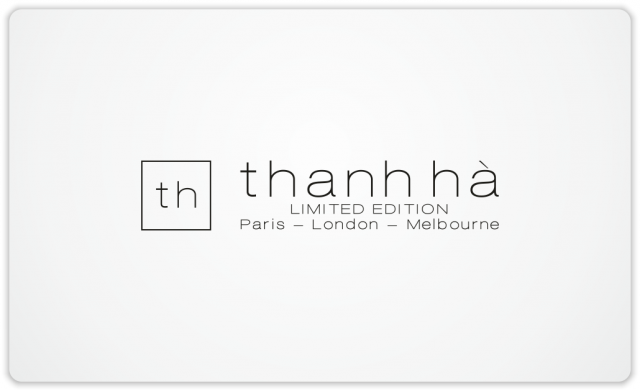 Logo for thanh hà – a new fashion label from Australia | Natalia Sutkiewicz - Graphic Designer Portfolio. Logo, Business Cards, Stationery. Several weeks ago I was hired to design a logo for a new fashion label from Australia. 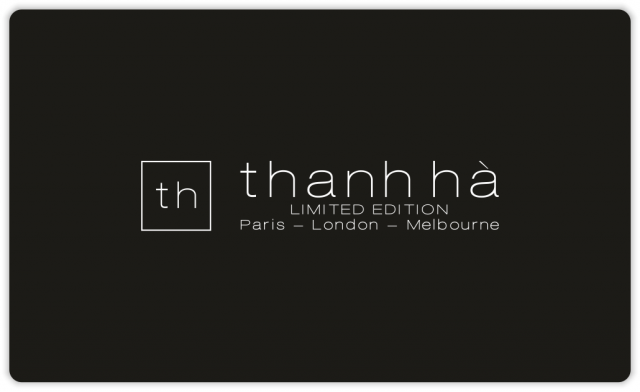 The brand is called thanh hà. It took few rounds of revisions and creating various concepts before we came to the final look of the logo. At the end, together with client we decided to create a very minimalistic logo, created from initials enclosed in a square shape, combined with a very thin font. This brand is designed for the woman who loves art, and quality fashion, yet is still price-conscious. All clothes are designed in-house at the studio & showroom in Melbourne.